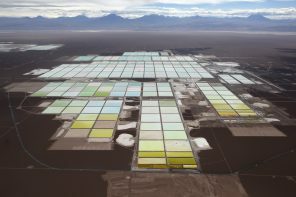 Tianqi Lithium is set to buy a stake in the $14.9 bln SQM. That suggests worries about excessive Beijing control over the key battery ingredient’s supply have eased. Still, the People's Republic would raise its share of output, hampering resource-rich nations’ scope to push back. The spread of the deadly disease is a symptom of an interconnected yet hugely unequal global economy. At least there is enough solidarity, and enough at stake for the rich world, for belated help to reach the poor countries at the centre of the outbreak. Growth may yet survive the deadly epidemic. The last four years’ 28 pct pace isn’t realistic, but controlling the outbreak soon should at least preserve investment. That won’t be easy, given the virus has now spread to the U.S. In saving lives and the economy, every day counts. The virus ravaging parts of Africa has yet to spread elsewhere. Yet Asia’s SARS crisis in 2003 showed how changes to behaviour can hurt growth and productivity more than an actual disease. Ebola seems harder to catch, but more deadly. That could make for a more pronounced effect.